The Italian government has announced that it will compensate Italian companies and individuals for any losses in Libya as a result of political and economic crisis in the country since 2011. The announcement was made by Italy’s foreign minister Angelino Alfano who said that those who suffered losses in Venzuela would also be compensated. 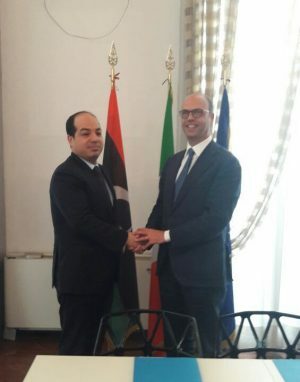 Ensuring compensation “is a priority for the foreign ministry,” Alfano said. The Italian-Libyan Chamber of Commerce has been arguing the case for compensation for Libya losses for more than a year. It says that some 150 Italian companies are owed €905 million. Of this, €650 million is owed on pre-2011 contracts that were not honoured as a result of the revolution, plus a further €15 million for damages and destruction during it. In addition, there is a further €240 million in outstanding bills from the 1990s. In a survey of 20 companies carried out by the chamber earlier this year, it announced in May that 16 of them reported they were owed €100 million since 2011. Italy is Libya’s biggest trading partner. It is the only country so far to have decided to compensate its companies and individual citizens for losses in Libya.